All of these sweet notes mean so much to us, making it difficult to pick our top favorites. 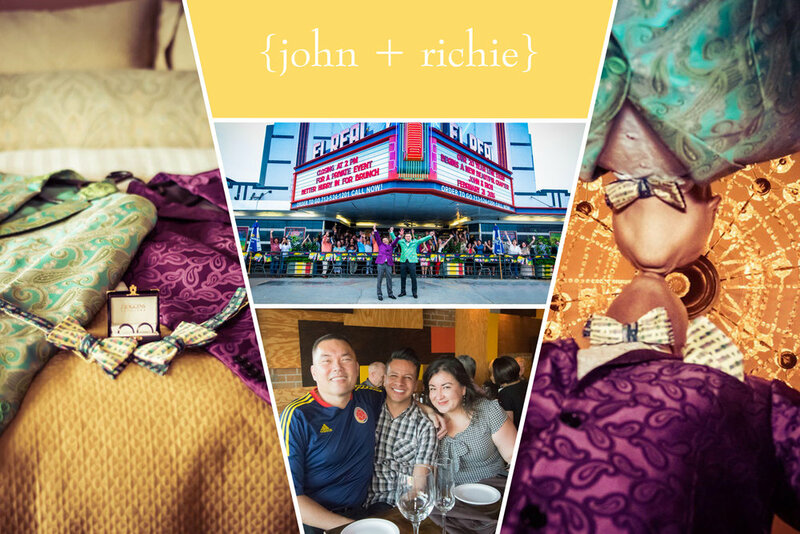 We figured you'd love to read on and see why our couples "puffy-heart" us so much! So grab your favorite beverage, sit back and enjoy the "sweet notes" from our past couples! "As the mother of the bride, I am so thankful that we found Claudia at A Day To Remember. She handled the many details of my daughter’s wedding including the planning, floral arrangements and cakes as well as the day-of stationery. She was able to pinpoint my daughter’s personality and taste to create an experience that captured exactly what my daughter envisioned for her wedding ceremony and reception. She coordinated the many vendors and prepared detailed itineraries and timelines that kept a very large bridal party well informed. She designed and produced ceremony and reception programs, seating charts and corresponding table number stands that beautifully coordinated my daughter’s colors and theme. In fact, friends and family are still complimenting us on the level of detail that was displayed in stationery products and floral arrangements that tied to the theme. Claudia’s knowledge, expertise and passion make her an invaluable resource for a bride and her mother. She is extremely organized, high energy and worked tirelessly (without sleep on a couple of occasions!) to ensure my daughter’s dreams came true. She consistently made herself available via email, phone and personal meetings for the many, many questions that arise when planning such an important event. As the mother of the bride, I wanted to “be there” for my daughter on her wedding day. I was able to relax and enjoy the day and evening knowing that Claudia was there to make sure everything went smoothly. Without hesitation, I would highly recommend Claudia and her staff at A Day To Remember to my friends and family." "Claudia was an amazing person to work with. She’s sweet, professional, and awesome to work with. She’s at her best on your special day. Be sure to communicate all the little details you want worked out and you will definitely get what you asked for. I had a traditional Vietnamese wedding and she knew my crazy timeline for the day and it just made it that much easier for me to discuss what all needs to be accomplished. Props to her because so many people walked up to us and asked “what do I do…?” and we would tell them “go see Claudia” Ha! That was beyond crazy for me, yet I did not hear one single complaint from her. She was there for us from beginning to end and triple checked with us when the event was over and that she was no longer needed 30 minutes after all music was shut down and all items were packed up. Like I said, she is just too good not to have for your special day!" "A Day to Remember provided us with the most wonderful "Wedding Weekend to Remember"! Claudia G. de Velasco provided us with A++ service in planning and executing our daughter's wedding. Her ability to connect us with the finest vendors - Linens, Coffee Bar, Flowers, DJ, Photographer, Videographer - was amazing. She saved us from having to "search" for the best one. Her company had worked with all of our vendors before and the execution on the day of the rehearsal and wedding was like a well oiled machine. Claudia was always available to connect with either by phone, text, email or in person. Claudia's creative talent allowed us to have a truly unique style and flair for the wedding that left guests speechless! I believe the key was Claudia's ability create and then tie the theme and color of the invitations to all printed materials, linens and especially the flowers! She was available for the Rehearsal and the entire day of the wedding. I cannot say enough about her ability to keep everyone calm and focused during the day and through the reception. All of the special events during the reception - introduction of wedding party, parents, dances, cake cutting, bouquet and garter toss - went flawlessly under her direction. As the "couple send off", she had all the guests take handfuls of rose petals and surround the dancing couple in a half circle. The photographer and videographer were on the stage looking at the crowd. The couple danced and when the music stopped the guests threw the petals on them in a shower of pink and ivory. It was gorgeous! And the pictures were divine. Claudia and A Day to Remember gave us exactly what we all wanted for our only daughter's wedding. We could not have asked for a more knowledgeable, creative and professional company to work with. I highly recommend her company and talent." "We hired Claudia because we wanted our wedding weekend to be as stress-free as possible, but we also wanted everything to look amazing while keeping our budget in mind. She took care of every little bump in the road and got us great deals with great vendors. There is no way our wedding ceremony and reception would have turned out as nicely as they did without Claudia’s knowledge and assistance. We can’t recommend her services highly enough!" "My Husband and I knew the minute we met with Claudia from A Day to Remember, we knew she had our best interest at heart when it came to our wedding planning. Claudia was very professional and her integrity meant a lot to us when meeting with vendors. It was a very smooth process and we came to find Claudia as more as a family member through the process. If you are looking for a wedding planner that will listen to you and take your vision to more than you expected you need to hire Claudia from A Day to Remember!!! 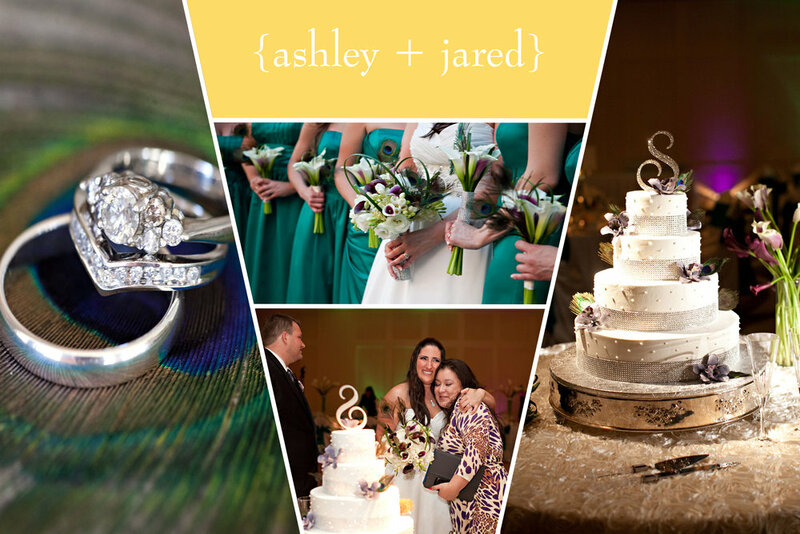 You will not regret choosing her services because she made my Dream wedding come true." "Claudia (A Day to Remember), is simply amazing! We initially had hired her to do the cake, flowers, and décor. Three months before the wedding, we found out that our wedding venue had double booked us. We then instantly hired Claudia to plan the rest of our wedding. She did an amazing job getting us a new place and everything else from there on. We really appreciated the fact that she stuck to our budget and actually got us a great deal on the new venue site (of which originally was out of our price range). 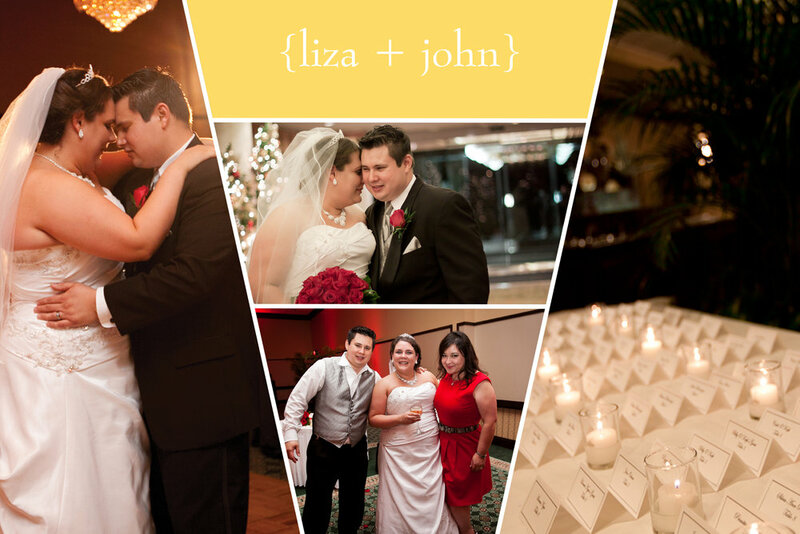 We could not have been any happier with how the wedding turned out." "All one can say when they think or hear of “A Day To Remember” is WOW! Claudia is the most professional and personal Wedding Coordinator I’ve ever known. She works hard, diligent, determined and above all detail oriented. My husband and I could not have asked for a better person to truly make our special day the most beautiful day of our lives. We truly hope that we can call on her in 5 to 10 years when we re-new our wedding vows! I recommend her to anyone! She’s top notch and so is her services!!! Oh, best cake in the world!!!" "First of all I must say that our wedding was AMAZING!!!! I worked with Claudia for a little over a year planning our wedding and I had an exceptional experience. Claudia was very attentive and thorough in our first meeting and she was very focused and passionate about giving us the wedding that we invisioned. She got to know our likes and dislikes very well, which made it very easy when we had to decide on vendors like reception location, photographers, florist, DJ and cake designers. Claudia has an excellent network of contacts within the bridal industry, which was all willing to eagerly work with her. I must say all of my vendors Claudia referred was EXCEPTIONAL!!! Claudia attends all vendor meetings and she is very detailed and organized when assisting in your budget and overall planning. Claudia is always positive and has a great attitude and never seem overwhelmed and stressed, which was vey important and reassuring to me and should be to every bride. Our wedding was absolutely AMAZING and our guests are still contacting us after two weeks to tell us that our wedding was one of the best weddings they have attended and I definitely know that we could not have done it without A Day to Remember and Claudia. I am soooo happy and I would refer Claudia/A Day to Remember to any couple that is getting married-OUTSTANDING!!!" "Claudia is a woman who makes things happen! She is exactly the kind of lady you want behind you on your wedding day. I had no worries the whole time because I knew she would go above and beyond to make our wedding beautiful, special, and memorable both for my husband and I and our guests. Admittedly a control freak, letting go was one of the most difficult parts of wedding planning for me, and I never would have been able to if I hadn't worked with Claudia and her team!" "It gives me great please to leave such positive feedback for two lovely ladies from "A Day to Remember". Our wedding planner was Anaise Guzman, Claudia was there to assist Anaise if needed, as we were her first official clients. My now wife and I had been contemplating on whether we should get a wedding planner or not. I, of course, did not see the need for a planner but my lovely wife was a few steps ahead of me and had already called around and got in touch with Claudia. My wife had set up a consultation and I was there via Skype. The chemistry was definitely there as both parties laughed and connected on many levels. From that moment on we had a great time planning our wedding with the ladies. Every vendor they had recommended surpassed our expectations and we were very pleased. I cannot believe that I did not want a planner! I really felt their support when it was time to pick details about the wedding. They were there to get excited with my lady about planning. A little side note for the guys, men are not very enthusiastic when it comes to planning a wedding (we know). I kind of missed the moments where I was supposed to be extremely excited about things such as, colors, flowers, bridesmaid’s dresses, etc. Luckily Anaise and Claudia were my support group. They, unlike me, knew when it was time to get excited and I was really grateful for that! Having the ladies around was a great benefit. We were happy with all of the hard work Anaise did in planning the wedding. She made sure that we were in budget, paid all of the vendors on time, and was not afraid to give her professional opinion if something looked bad. We love Claudia because she was always in good spirits and kept things interesting. She also designed our wedding invitations which were amazing. Her last minute thinking and color coordination is legit, please trust her she is very good at what she does! I would recommend these ladies for your wedding!" Again, I cannot thank you enough for everything you did. SO THANKS A LOT, MERCI & MUCHAS GRACIAS!!!!" "When we began to plan for our wedding, we quickly knew this was something we needed a professional touch to make it special and stress free. We found that in Claudia. Our expectations were blown away and the event was more than we could have imagined or hoped for on our special day. We have recommended Claudia and all of her fantastic contacts to everyone we know. What made it even more special was the timing; we were planning without knowing our marriage would be legal in Texas. We were with Claudia on the day it was announced, again making our time with her all the better. Can't really express how wonderful it has been working with A Day to Remember! Fantastic just doesn't cut it." "My husband persuaded reluctant me of the need to have a planner--after seeing Claudia in action, I can't believe I ever thought we could do this without one--her in particular. We hired Claudia with less than 3 weeks before the event, and she masterfully put together what's been reported as the largest gay wedding in the history of Houston. Her suggestions were always perfect, and her attention to details was phenomenal. When we asked her to meet with us in person, she was always there. Emails and calls were always answered promptly. Over 350 people were in attendance of all ages and backgrounds, and to a person, people were blown away--we give Claudia so much credit for taking the stress off our hands and making sure the show went off without a hitch. We had the wedding and reception and entertainment (including mariachis, drag queens, confetti bombs, stilt walkers, and so much more!) in the same place, and everything went perfectly, thanks to Claudia and her staff. We have heard from so many who thought the wedding was the best they had ever attended (gay or straight)--we tell them all the real thanks goes to Claudia. If you are planning a wedding--in Houston or anywhere--you NEED to have Claudia be your planner!" "Claudia is awesome. She really listens to your vision of what you want and helps you remain within your budget. She is very professional and fights for her clients always, even when vendor shopping. If you need additional items services/vendors, Claudia can either provide it herself for you or give you great referrals. I honestly really did not stress or worry on my wedding day like Ithought I might and that was because Claudia hustled all day and night to make my dream wedding happen. From planing to the actual day. Claudia is right there with you. Forever grateful!" Confession: sometimes I look back at my wedding day, and imagine what it would be had you not been there…the feeling is a mix of sad, sick, and completely overwhelmed. So, when I say I could not have done it without you…I whole heartedly mean it. I wish I could somehow repay you for the generous gift you gave, but I honestly will never be able to fully repay you. All I can do is recommend, recommend, recommend (which isn’t hard to do), and say that if you ever need anything, I’m your girl. So much love and so much thanks! Love,"
"With less than two months before our wedding date to plan a wedding, Claudia made it A Day to Remember. She walked us through every step of the process and made it as easy as possible. She dealt with and calmed our nerves about everything. We wouldn’t have been able to have the beautiful, perfect wedding we did without her help. It was the happiest day of our lives, and she did make it A Day To Remember. We highly recommend A Day to Remember and Claudia as your wedding planner. They will make it truly A Day to Remember." Matt and I would both like to thank you for the wonderful and very thoughtful wedding you put together for us. Our guests told us what a fantastic time they had – given all the details – and this was due to your thoughtful attention and hard work. Thank you for making our day amazing! Much love to you." "Claudia is amazing at her job! She made all of my wedding dreams come true (and more). Originally, she was only going to provide bakery services as she is the preferred vendor for our reception venue. However, when my mom and I met with her, we fell in love. 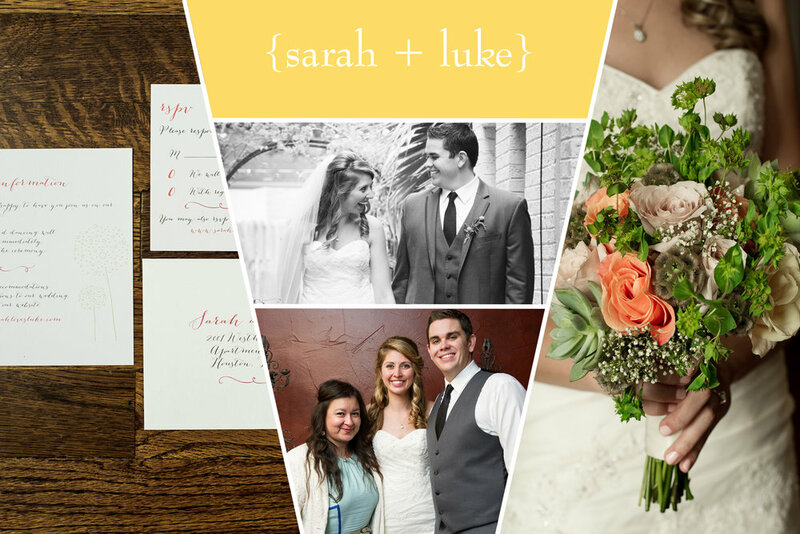 She convinced us to use her ‘day of’ coordinator services which proved to be worth every penny. We also decided to use her as our florist, as well, since it was so convenient to have everything in one place. Then my mom used her stationery services near the end, for the programs and table stationery, etc. Everything was great! The cakes were gorgeous and tasty. The flowers were absolutely perfect and breath-taking. The stationary was uniquely designed for our wedding theme and colors and they were great! After all the meetings we had, Claudia took our wedding vision and turned it into reality. A perfect reality. It was the best day of my life! 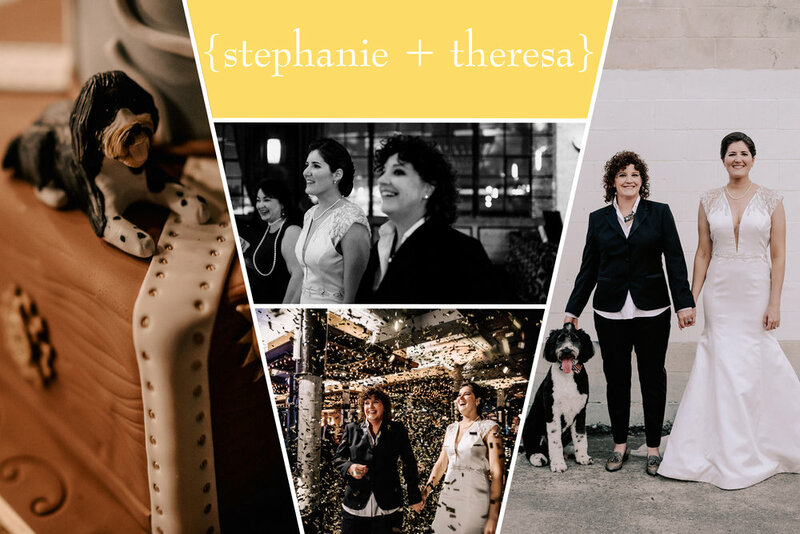 The best thing that Claudia did for me (and, most of all, my mother) was take an enormous weight off our shoulders…not only in the planning process, but more importantly, on the wedding day. Not only was everything perfectly beautiful, but the event ran SO smoothly because of her planning and coordination efforts. If anything went wrong, I have no clue! If it weren’t for Claudia, we wouldn’t have been able to have such a successful event. That’s the truth. I‘d recommend her to anyone of my friends or family members planning a wedding. She’s got great connections in the industry, she’s knowledgeable and she’s such a pleasure to work with."